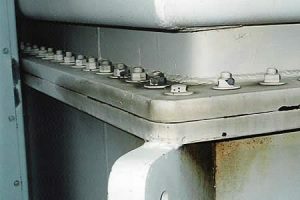 Bolted transformer lids are very common on older transformers. Most new transformer lids are welded. Transformer lids can be square, rectangular, oval, or round. 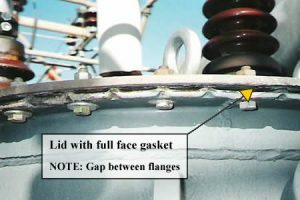 Transformer lids that are bolted can be sealed in one of two methods. 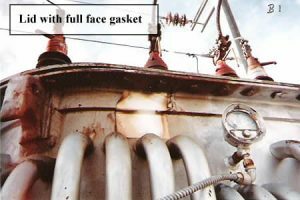 Lids (or Compartments) with gaskets in a groove. Usually, these types of lids or compartments are easily recognizable because the flange faces are metal to metal. These lids and compartments can be repaired by the drill & inject method. The repair method used here is different from a drill and inject. TDS technicians will create a dam around the gasket diameter to contain the sealant. 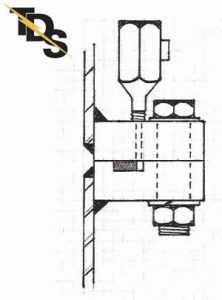 Sealant is now injected between the gasket and the dam, see illustration. There is also the possibility that the leaks could be occurring at the bolt holes. 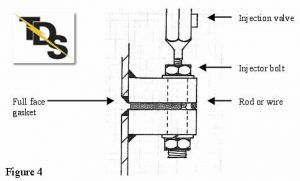 TDS technicians will either install injector bolts or drill and tap a hole into the bolt holes and then inject sealant into and around the bolts themselves.